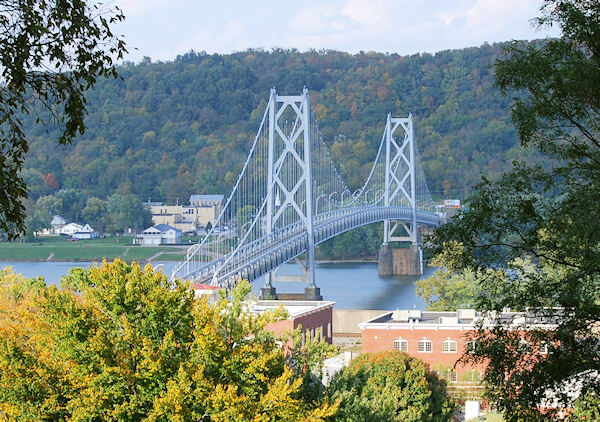 The 1,991 foot long Simon Kenton Memorial Bridge spans the Ohio River between Maysville and Aberdeen, Ohio.. Completed in 1931, it was a toll bridge until 1945. An additional view of the bridge can be found here.